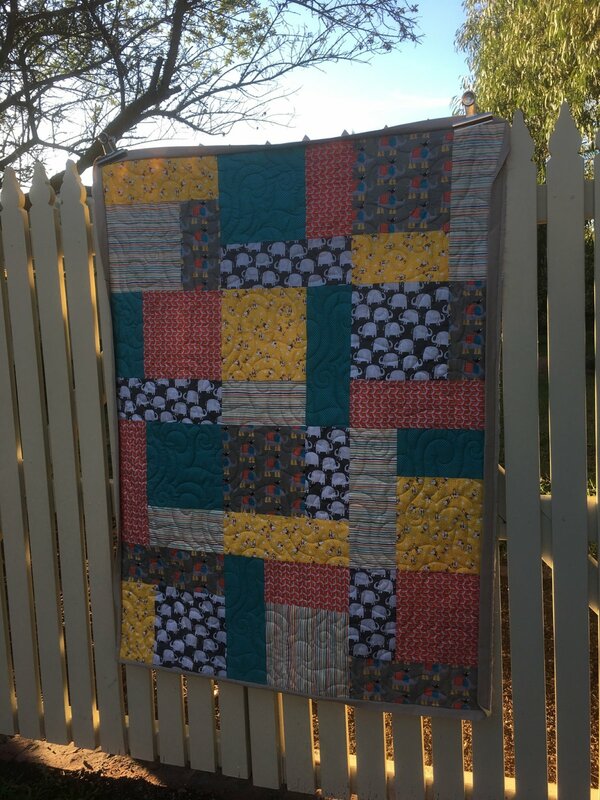 Cot sized quilt. 40 inches x 50 inches approx. 100% cotton fabrics and machine washable wadding. Machine quilted in our studio.